Training providers’ non-levy funding is running dry and some are even having to turn apprentices away – but the government can’t offer more cash as it doesn’t have any left in the system. The unprecedented issue, which one sector leader has described as “market failure”, comes just weeks after the Department for Education launched a new campaign to drive up the number of apprenticeships in England. Around £500 million was allocated by the Education and Skills Funding Agency for delivering apprenticeships to small employers for the 15 months from January 2018 to March 2019 – a major fall on the £1 billion that was available for this provision in the previous 12-month period, according to a previous estimate from the Association of Employment and Learning Providers. Nearly 700 providers currently share the pot but many started to feel the financial strain towards the end of last year after being denied opportunities for in-year growth funding, and some have now run out of the cash altogether. “We can’t put more 16- to- 18-year-olds on programme because we haven’t got the funding,” said William Howarth, the co-founder of Cheynes Training, which trains hairdressing apprentices across the UK. In November, FE Week revealed that the Institute for Apprenticeships and Technical Education’s chief operating officer Robert Nitsch said there could be a £500 million overspend on the apprenticeship budget in 2018/19 – which would explain why the government can’t offer any more non-levy funding. The AELP is now advising its members to be “very careful in calculating the risk” of going ahead with new starts as it is “still no nearer resolving the medium- and longer-term issue of how SME [small and medium-sized] apprenticeships will be funded as the levy gets consumed by the levy-paying employers”. 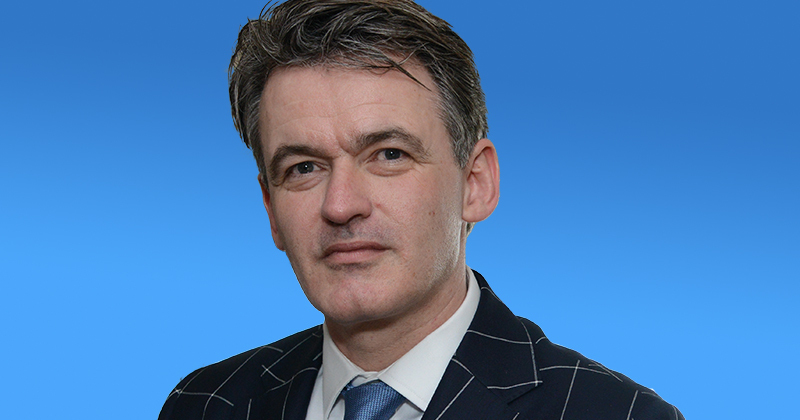 “Now the infamous IfA slide on levy spend is official, our immediate concern is the tank running dry for non-levy paying employers,” said AELP boss Mark Dawe (pictured). “Several training providers started reporting before Christmas that they were up to the hilt on their contracts. The ESFA said last week that it is reviewing providers’ delivery on current contracts and could release “over delivery” for some. Mr Dawe said this announcement “just kicked the can down the road” and providers are “far from being out of the woods on meeting demand from non-levy employers”. 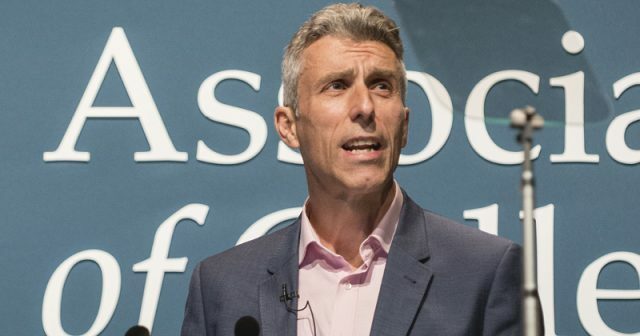 David Hughes, the chief executive of the Association of Colleges, said he is also “getting increasingly worried that more and more employers are being turned away”, which is “bad for young people who are missing out on opportunities to take up an apprenticeship”. Cheynes Training has around 30 apprenticeship academies in England and had a non-levy contract worth just over £1 million to use this year. It rallied MPs from around 20 of the constituencies that the various academies are in to plea with the DfE for more cash, but the provider still had four appeals for growth funding turned down. “In terms of impact we then lost employers because they wanted to put people on the programme but we didn’t have the funding for new starts over the November to March period,” Mr Howarth told FE Week. In August, the ESFA announced it was going to extend current non-levy contracts from April 2019 to March 2020, but no growth funding will be available unless a “significant budget” becomes available. The 10 per cent fee that small businesses must currently pay when they take on apprentices is also expected to be halved this year, although it is not clear when this change will take place. When the five per cent co-investment is introduced, the government predicts it will cost the Treasury an extra £70 million a year by 2022. The non-levy crisis comes after the DfE launched its new ‘Fire It Up’ apprenticeships campaign on January 17. ‘Non-Levy paying’ doesn’t mean insignificant. Small and medium sized employers are the backbone of our economy and we’re witnessing an increasing demand from employers for skills training through apprenticeships. We’re entering a new, and as yet unknown period in our history. One that will undoubtedly require more home grown talent to meet employer needs. Am I missing something? Come on, increase the budget and we’ll satisfy the demand!! Reminds me of New Deal when TV and other adverts told employers there were unemployed people with support attached ready to fill their vacancies. The November push drove employers by the hundreds to ask for these new employees…problem was there were no contracts in place, no training providers ready and…employers walked away and didn’t come back. The first signs of changing training provider behaviour have already appeared to AAT (Association of Accounting Technicians), with current funding restrictions leading to a potential reduction of starts over time in accounting; a negative sign in a sector which has always undertaken significant training. In spite of small pockets of recent success (accounting apprenticeships starts, for example, were up 12% during 2017/18), overall student numbers are currently more steady, with no increases despite the measures taken to try and change this. If the number of apprenticeship starts is to return to where it was before the introduction of the Apprenticeship Levy, the ESFA needs to fix the funding system speedily. It will be hard to get the increased amount of starts needed, if training providers are turning interested individuals away because of a lack of funding. “If the number of apprenticeship starts is to return to where it was before the introduction of the Apprenticeship Levy, the ESFA needs to fix the funding system speedily. It will be hard to get the increased amount of starts needed, if training providers are turning interested individuals away because of a lack of funding.